Traveling to Costa Rica is always a good idea. There are tons of natural attractions that you can enjoy. But there have been some slight variations in weather that you might want to consider when setting your dates for the trip. This is a month that a lot of travelers like to spend in Central America. That is because July is smack in the middle of Costa Rica’s rainy season. However, storms often start later in the day, after a morning of sunshine. In some places they even last only one or two hours, allowing you to have the rest of daylight free to explore. Some say that it is worth getting a bit wet in exchange for being able to explore the country with fewer tourists around. But it is up to you. Fiesta de La Virgen del Mar— (The Fiesta of the Virgin of the Sea) It takes place each year on the Saturday closest to the 16th is marked in Puntarenas. Locals celebrate it with a procession of decorated fishing boats that carry a statue of La Virgen del Monte Carmelo (the city’s patron saint) and a special mass. Aside from the religious aspect they also celebrate with a whole week of parades, dances, regattas, parades, and fireworks. you should definitely be a part of this celebration if you are in the are in July. Playas del Coco also celebrates the Virgin of the Sea. Día de Guanacaste—Guanacaste Day celebrates the annexation of Guanacaste from Nicaragua in 1824. The activities for this celebration include street fiestas, folk dancing, topes (horse show/parade), traditional bullfights, rodeos and cattle shows that are particularly colorful and exuberant. These showcase all the best of what the northwest region of Guanacaste and the Nicoya Peninsula have to offer. It is a lot of fun! Winter School Holiday—The first two weeks of July are also the time when the “Winter” break for public schools typically happens. So you might find families enjoying time together and shot vacations in some of the most popular touristic areas. Exact dates can be found on the Ministerio de Educación Pública calendar. Mango Fiestas - Alajuela is known among locals as the City of Mangoes. Each year when July comes around the town celebrates its heritage with crafts, parades, music and plenty of mango refreshments. There are celebrations all month long but the best and more colorful happen towards the end of the month. 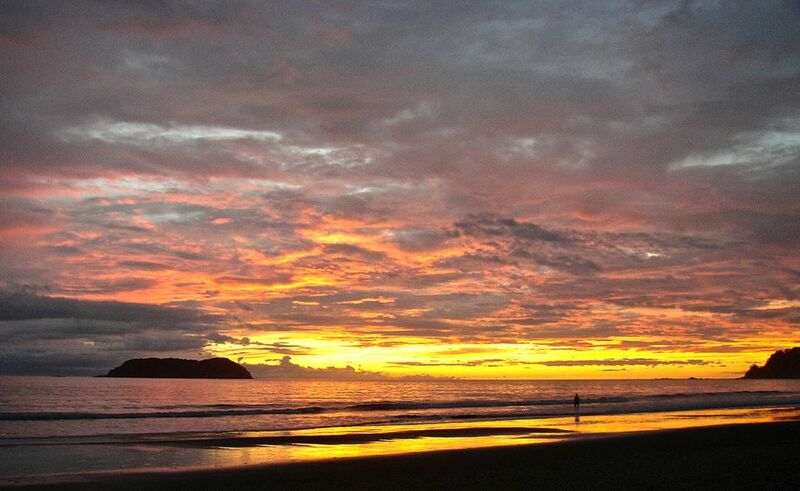 Even in Costa Rica’s rainy season, the sun often shines throughout the day, with storms rolling in later in the afternoon. But even like that a lot of people don't like to come for a visit, making the prices drop. you will be able to find low prices and attractions are uncrowded--both which can make up for a few rainy evenings in my opinion.